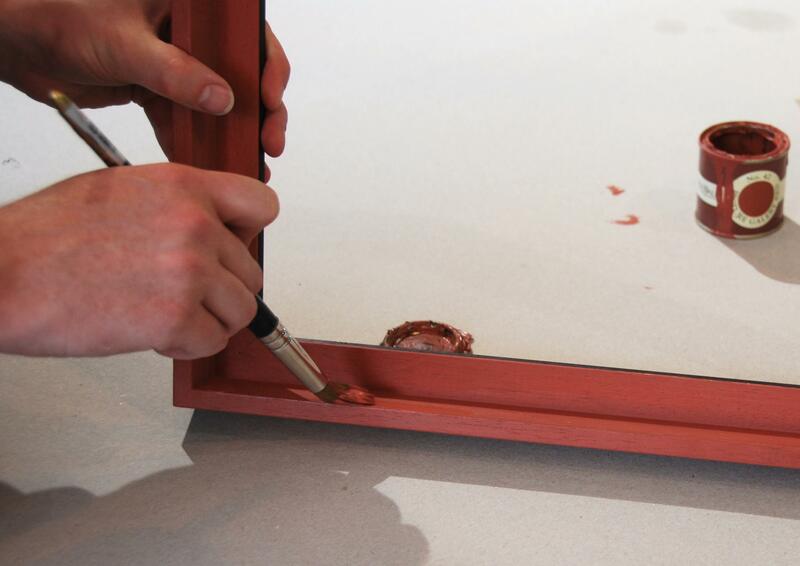 Traditionally made hand crafted frames are essential to perfectly harmonise a picture frame with your art. Depending on your taste and artwork this can include painting, gilding, and staining of raw wood mouldings and mountcard. Key to our practice, this is quite simply the best way to display your treasured or valuable pieces. 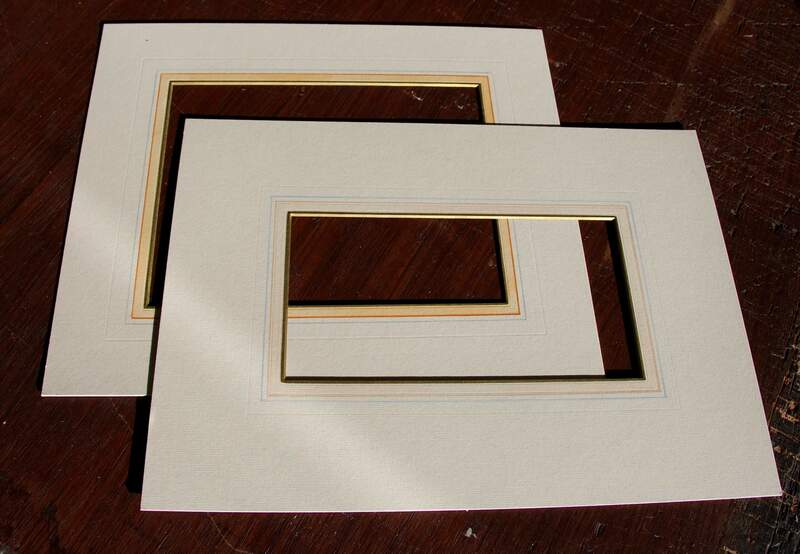 Hand Painted frames are the pinnacle of framing with the ability to deliver a perfect, sumptuous, and luxurious accompaniment to your artwork. It allows us to create a frame that works in harmony with the picture and enhance the colours and composition of the art piece. Alternatively for mirrors it enables you to find the perfect colour combination for your interior. We use bespoke mouldings uniquely made by us, which are cut specifically for the artwork. Gesso, a form of fine plaster, can then be applied to remove the wood grain and allow for textural variation, from smooth to impasto, to enhance the textures found within the painting. We can then finish the frame with Farrow & Ball paint and gilding as desired. Depending on you, we can help choose paints in the shop. Alternatively, for a more perfect, harmonious design, we can slowly develop the colours and textures comparing the artwork with the frame at each stage. 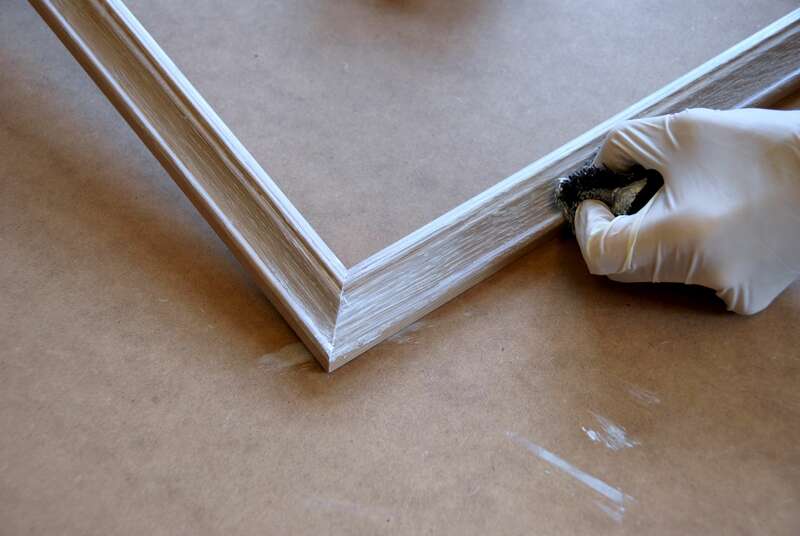 Hand stained and waxed frames enable the quality and expense of the natural materials to shine through. The colour can be chosen and varied to match tones found within your picture. The wax then seals the wood and creates a sheen so that the shapes and patterns within the wood grain can compliment those in your art work. We provide a range of mouldings in natural oak, ash, obeche, and beech which are hand finished by us. With you, we study the picture and compare alternatives, discussing the pros and cons to help you decide on the frame that is best for you and your picture. Gilding is a very complicated and skilled job that has been practiced by craftsmen for centuries. After meticulous preparations the metal leaf, which can be as thin a single atom, is applied giving frames a beautiful and opulent finish. Gold leaf is the most sort after material in this field, but Platinum group metals, silver and brass alloys are all used for different effects. We primarily use gilding in the creation of our mirrors, although we can also gild picture frames. We use a process called églomisé to gild onto glass or alternatively we use oil or water gilding for frames depending on the qualities desired. 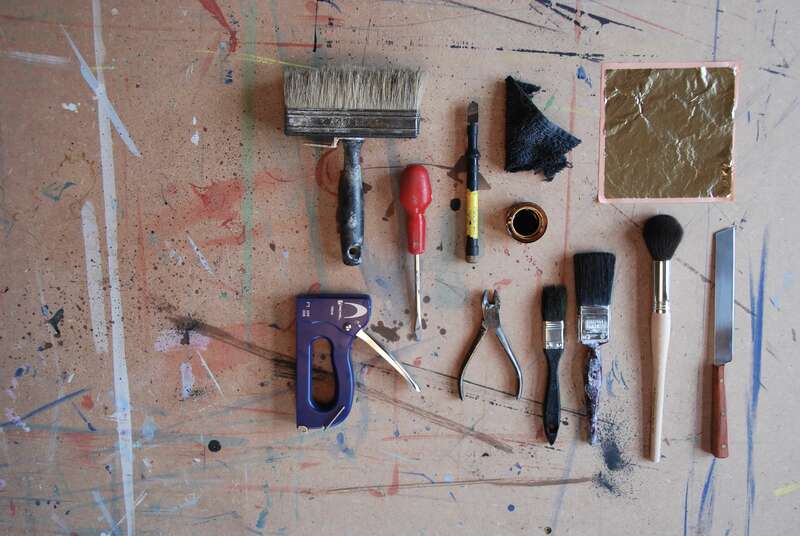 Please contact us if you would like to know more about this process and how it can enrich your mirror or artwork. Mounts were originally intended to create a well proportioned space between your artwork and the frame, but they are now able to do so much more. There are a wide range of styles and approaches which we can offer that can help draw out the colours, textures, and mood of the artwork. The best mounts are enriched with Farrow & Ball paints. This way, like a frame, colours can be matched exactly heightening the viewing experience. This can be combined with multiple mounts to develop the detail even further. With our computerised technology we can offer different mount shapes, such as ovals; title windows for photographs; multi apertures for a stamp or medal collection - the limit is often only our combined imaginations! Mounts were traditionally decorated as an alternative to using coloured card. This can be more sympathetic to your art. We are happy to discuss the wide range of possible effects which include, gilding edges, embossed lines, pen lines and washes. 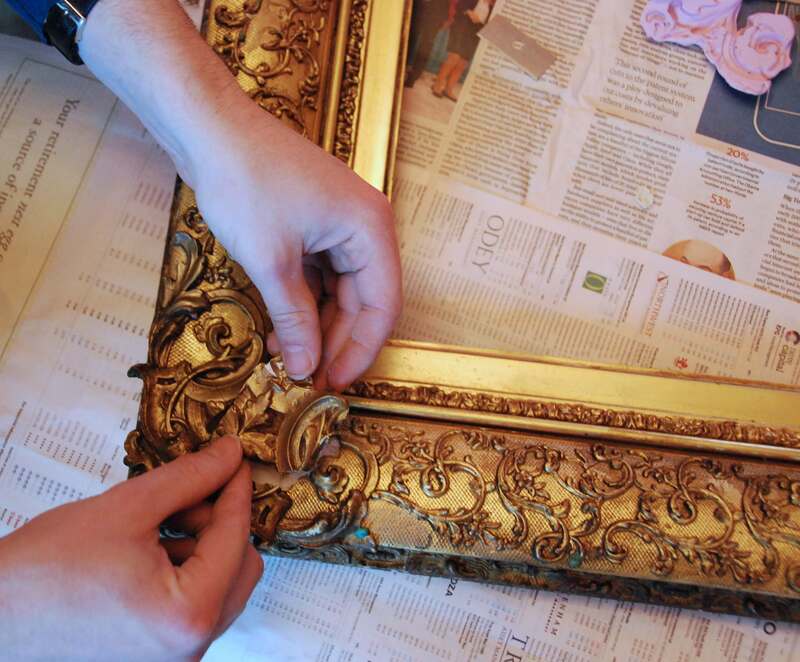 Alex is an Art Historian with a passion for restoring frames. 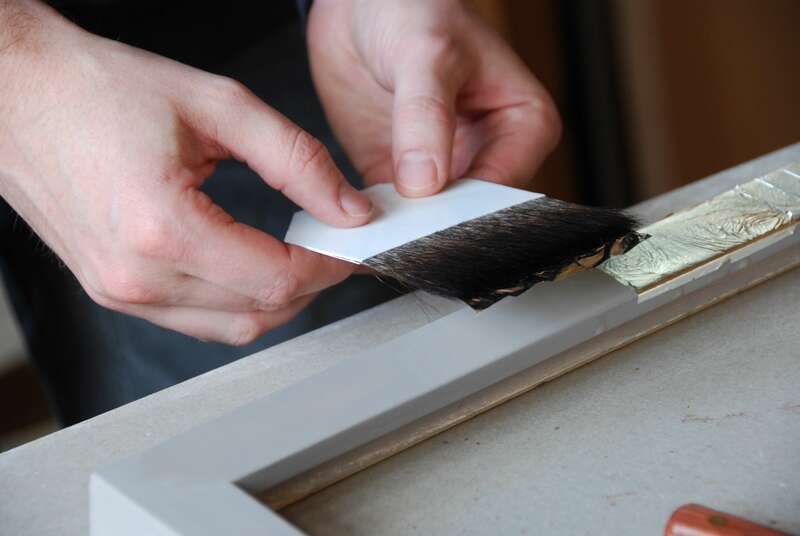 He can mould replacement pieces to restore losses, and touch up the surfaces with gold, paint, and gilt creams so that the surface matches the rest of the frame perfectly. Using historical framing styles on art pieces of the same period or in juxtaposition with very modern images can be very effective. The same can also be said for mirrors in interiors. For help finding the right frame, or advice on historical styles please email Alex directly or arrange to see him in person at the shop.